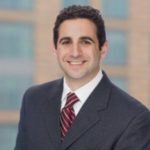 AAMCO Transmissions and Total Auto Care, the Pennsylvania-based company that grew from a small time auto repair shop to the largest transmission franchise in the world, is doubling its presence in Greater Boston. The company said it will soon have 20 locations in the area, adding an estimated 35 to 50 jobs. 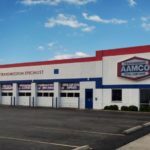 AAMCO said the move is part of a broader expansion across the country; last year it signed deals for 100 new locations around the United States and expects to add an additional 140 by the end of this year. 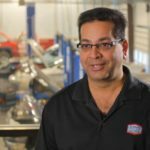 AAMCO’s new locations are planned for Bellingham, Gloucester, Hanover, Lowell, Marlborough, Needham, Plymouth, Randolph, Wakefield, and Waltham. One industry analyst agreed that service providers such as AAMCO are benefiting from car owners choosing to not replace their current rides with new vehicles. New car sales have increased since 2008, when the deep recession threatened to put Chrysler and General Motors out of business. But that economic shock has had a residual effect on car owners, said Graham Payne, managing director at Capstone Financial Group, which conducts research on the automotive industry. “It’s increased the tendency of people no longer buying cars and more Americans trying to make their car last as long as they can,” Payne said. The total motor vehicle aftermarket, which includes services such as brake or transmission repair, grew 3.8 percent in 2012 from the previous year, according to the Automotive Aftermarket Industry Association. Payne said the aftermarket is worth a whopping $304 billion, in part because of cars’ increasing complexity. “Where you used to have a single shop mechanic that could fix the whole car, now you basically need people with engineering degrees to properly repair an auto,” he said. Meanwhile, one local repair shop president said he wasn’t fazed by AAMCO’s expansion in the area..
“We’ve been competing with AAMCO as long as we’ve been doing business and transmission work, so it’s nothing new,” said John DiBlasi, president of Pier Transmission Inc., a family-owned Boston repair shop.